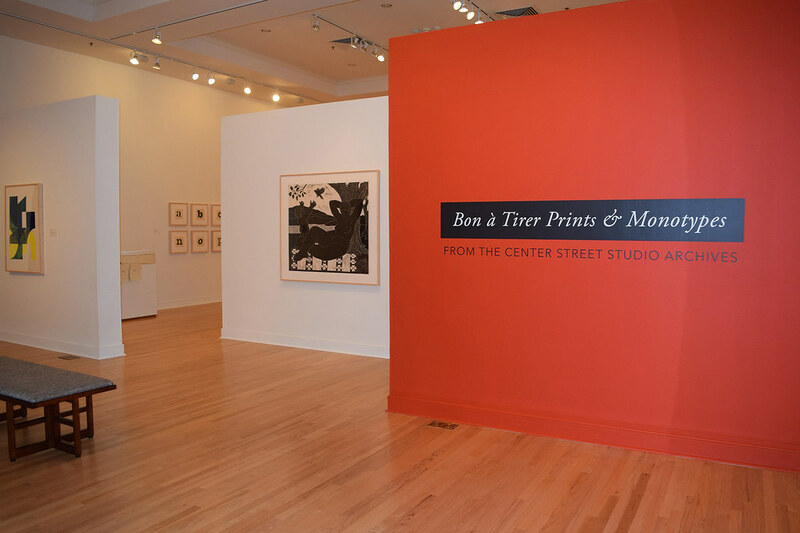 Bon à Tirer Prints & Monotypes: From the Center Street Studio Archives on view February 22 through May 11, 2018, in the Harnett Museum of Art, features prints by contemporary artists that were printed by James Stroud, artist, master printer, and founder/director of Center Street Studio in Milton, Massachusetts, since the Studio’s establishment in 1984. The Joel and Lila Harnett Print Study Center, University of Richmond Museums, has been acquiring these prints since 1998 as part of the Center Street Studio Archives in the Harnett Print Study Center permanent collection. This selection highlights the remarkable collaboration between the master printer and the artist that has been the hallmark of the Center Street Studio since its beginning, producing hundreds of prints of extraordinary quality by artists of national and international reputation. The wealth of artworks and documentation contained in the Archives is utilized as a primary source for both research and exhibition at the University Museums. 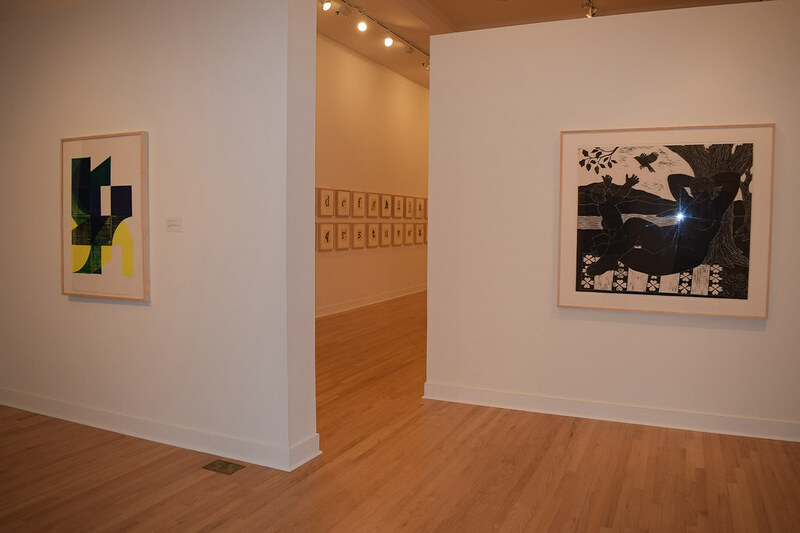 As the repository of the Studio’s ongoing artistic production, the Harnett Print Study Center provides students, scholars, artists, and the community with an important resource for contemporary printmaking. Featuring prints from the Archive, this exhibition focuses on monotypes from several recent projects and bon à tirer prints for published editions and portfolios. Bon à tirer (often abbreviated to B.A.T.) is a French printing term, literally “good to pull,” that indicates the print is the final proof from the plate, block, or other matrix during the image development and that the artist deems to be the standard for the printed edition. 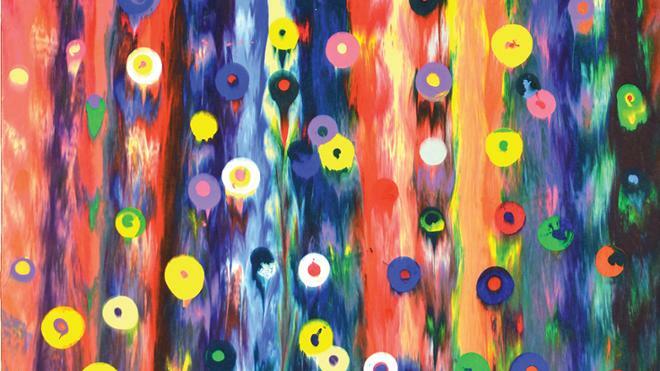 Monotypes are unique prints made without a matrix but printed from a plate run through the press in single or multiple passes. The exhibition features artwork by Matthew Carter (British, born 1937), Mark Cooper (American, born 1950), Eltono (French, born 1975), Raul González III (American, born 1976), Markus Linnenbrink (German, born 1961), Eva Lundsager (American, born 1960), Carrie Moyer (American, born 1960), Aaron Norfolk (American, born 1973), Jeff Perrott (American, born 1966), Rachel Perry (American, born Japan 1962), Charles Ritchie (American, born 1954), Bill Thompson (American, born 1957), Roger Tibbetts (American, born England 1949), John Walker (British, born 1939), Brian Andrew Whiteley (American, born 1983), George Whitman (American, born 1944), John Wilson (American, 1922-2015), and Janine Wong (American, born 1956). Organized by the University of Richmond Museums and curated by Richard Waller, Executive Director, University Museums, and James Stroud, Director of the Center Street Studio. 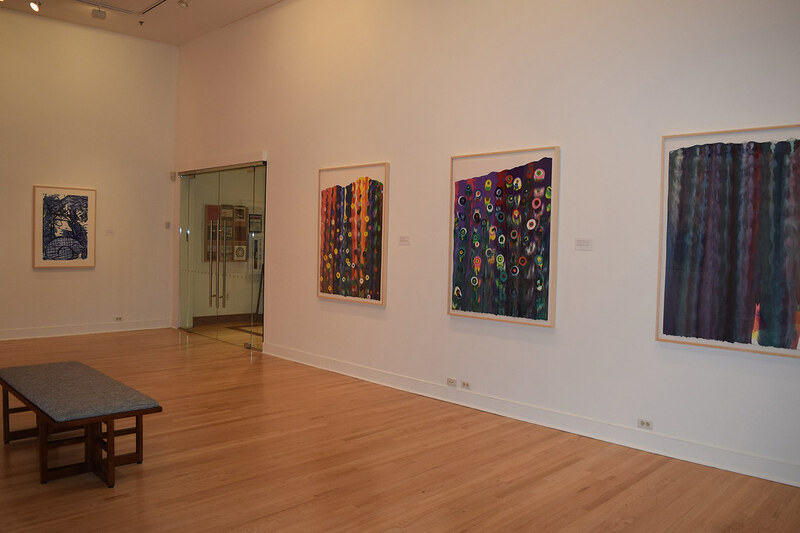 The exhibition and programs are made possible with funds from the Louis S. Booth Arts Fund. Wednesday, February 21, 6 to 8 p.m.